Today’s task will probably look different for everybody, depending on whether you have a dedicated office or not, a lot of paper files or mostly electronic records or a craft area full of scraps and baubles. 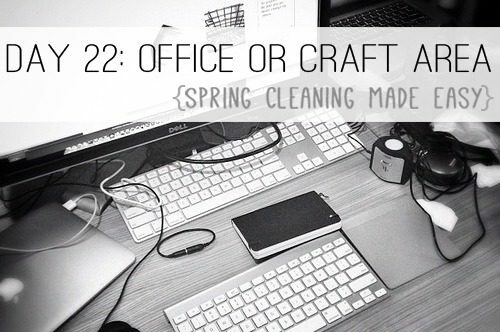 If you have both an office and a dedicated craft space, pick one area for today and save the other for your “choose your own task” days at the end of the month! 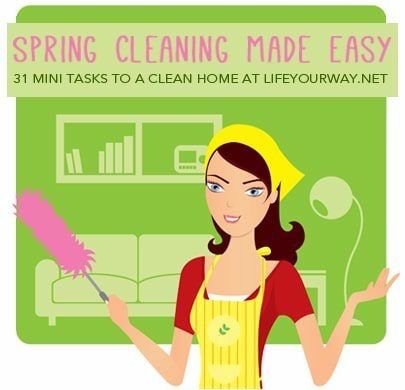 For either of these tasks, the basic process is the same: start by emptying and decluttering drawers, etc. Then organize the items as you put them back. We’ve actually talked quite a bit about both of these areas in the past, though, so rather than try to fit it all into this post, I’ll leave you with some links so you can pick and choose the ones that match whatever you’ll be working on today! Tomorrow we’ll be working on books, CDs and DVDs! What task did you choose for today?